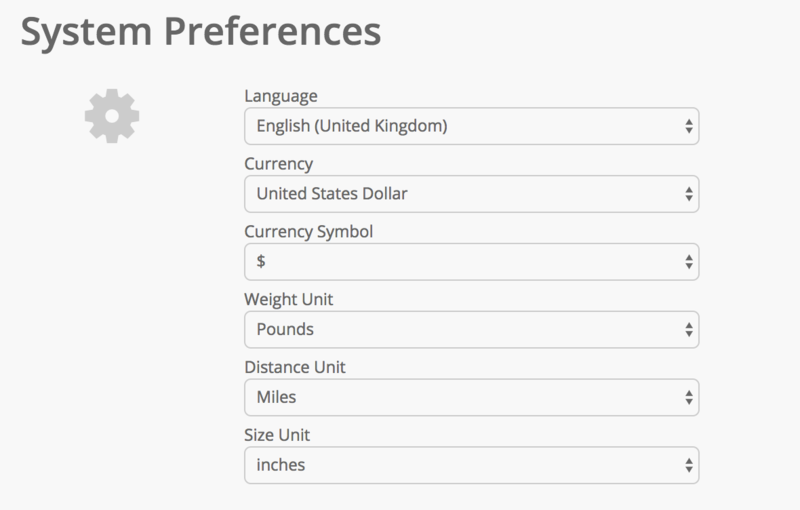 Customize general settings in Current so it suits your company’s needs. System preferences contains a variety of settings that let you customize Current RMS to suit your company’s needs. To access preferences, hit the System Preferences link under the “My account” heading in the footer of each page of Current RMS. Parlez-vous français? Current RMS is available in English (both US/International and Commonwealth), French, German, and Spanish. Other options are available to choose too, but these don’t change the language used in the interface – they’re used for localization, e.g. number formatting. Change your currency and currency symbol here, too. When you change your language in preferences, it changes your system language. This is used on the login screen, on automated text in discussions, and when setting up new accounts. To change the language on your account, edit your user profile by clicking on your picture at the top-right and choosing Edit your profile from the menu. Your availability period determines the default time period used in your Current RMS system. It affects the time periods you see in your availability screens and the units used when calculating stock availability for rental products. if your availability period is set to “day,” an item that is returned today at 11:30am is considered available from the next full day, i.e. tomorrow. if your availability period is set to “hour,” an item that is returned today at 11:30am is considered available from the next full hour, i.e. 12pm. It’s worth thinking about your availability period during setup because it impacts other settings in Current RMS. For example, you can set “post rent unavailability” against products. Post rent unavailability is a period of time after a rental that kit is unavailable for. The time unit for post rent unavailability is your availability period. For example, if your availability is set to days and you’ve got a post rent unavailability of 1 day on a product, if you were to switch to hourly availability in future, that will become 1 hour. Transitioned to Current RMS from another solution? Chances are that you’ve already been quoting and invoicing and need to start from the next number in Current. 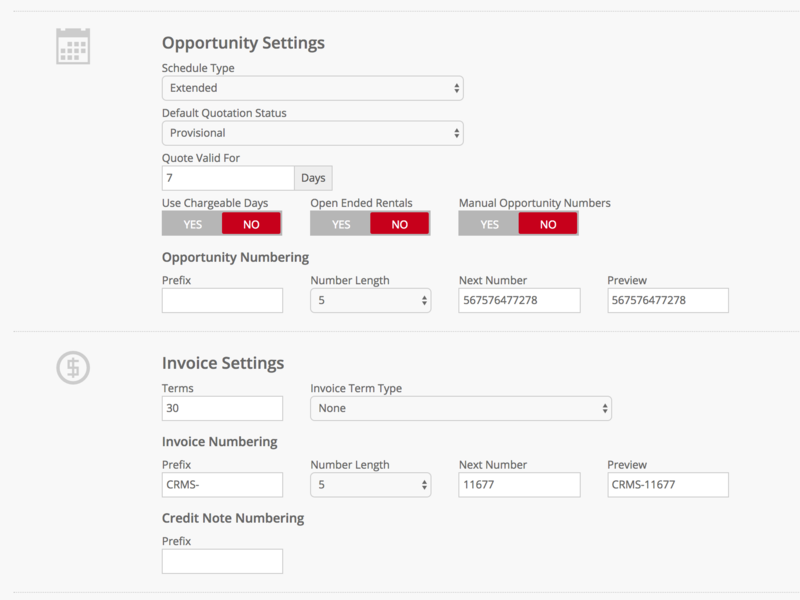 Change the “Opportunity Numbering” setting and “Invoice Numbering” settings to set your next number. Normally do dry rentals? 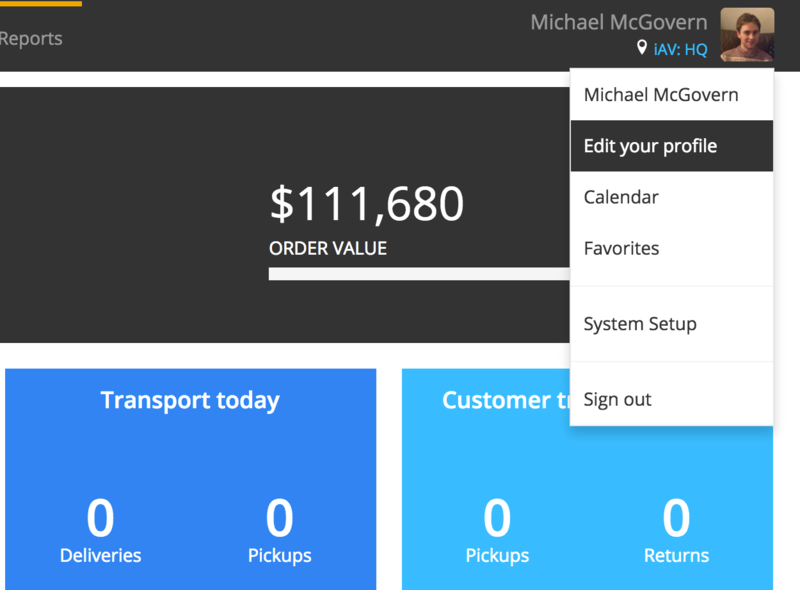 Turn on the standard scheduler to make putting together an opportunity a little bit simpler. Choose whether the tax calculation method is based on the unit price, the row total, or the total of the opportunity/invoice. Choose whether the tax calculation is based on the organization’s billing address, the delivery address, or the delivery origin (i.e. the store address). Choose whether to calculate tax before or after discount. Choose whether or not the prices you enter when setting up the products in Current are inclusive or exclusive of tax.